A drama teacher at Willis Intermediate School is seeking the community’s help to put together a comprehensive history of the drama program at Willis. 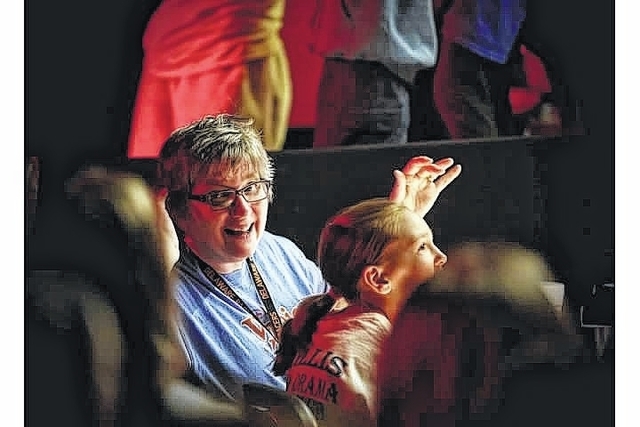 Pam Beery, drama adviser at Willis, said that when fifth-graders are moved to the elementary schools and the sixth-graders are integrated into the middle school in the 2016-17 school year, there will be no more drama productions at Willis. Beery said she hopes to hold a reunion and invite Willis alumni back to the stage one more time. She said she has been planning the reunion for several years but the closing of the school has given her a solid deadline. Beery said that, in addition to the reunion party, she hopes to put together a video giving the complete history of productions. Beery said that, unfortunately, many older items relating to drama at Willis were lost in various moves and staffing changes, and she is looking for any memorabilia the community can provide. The main time frames Beery said she is missing is the 1930s and some of the shows in the 1980s and ’90s. Beery said she has been working with the Delaware County Historical Society to put the timeline together. Interested parties can contact Beery via email at beerypam@gmail.com or by liking the Willis Drama Club’s Facebook page. Beery said the reunion would take place sometime next May and she is currently working on gathering resources for the reunion. Beery added that she has already had a large number of responses from people with information about the productions. School administrators say Willis will become an administration building after the students are moved to other schools.